Tianguis Turistico is now in its 44thedition, and will run from April 7 to 10, with thousands of travel industry professionals from across the globe descending on the Port of Acapulco to learn about all the regions of Mexico. Over 1,000 hosted buyers from 43 countries will have the chance to meet 600 exhibitors will spread throughout the 240,000 square feet (22,500 square meters) of the Mundo Imperial, Acapulco’s newest convention venue, with capacity for more than 20,000 attendees. As one of the largest travel events in Latin America, Tianguis Turistico will lead to over 40,000 individual business meetings. Among the exhibitors are hotel companies ranging from international chains to independent boutique properties; airlines connecting Mexico to points across the globe; ground transportation companies, as well as DMCs, exhibition halls and other tourism-related companies and organizations. Importantly, all 32 tourism authorities from across the different states of the Mexican Republic will be represented, on hand for meetings, questions and other information about the entire country and its myriad travel destinations. Tianguis Turistico is representative of the kind of large, complex conventions and other mega-events and gatherings Acapulco has held. Acapulco was recently host to the Telcel Mexican Tennis Open, which attracted world-class players including Rafael Nadal, Wang Yafan, Nick Kyrgios and many others for its doubles and singles competitions. Attendees of Tianguis Turistico will enjoy an Acapulco under constant improvement, with new, expanded services and infrastructure investments. 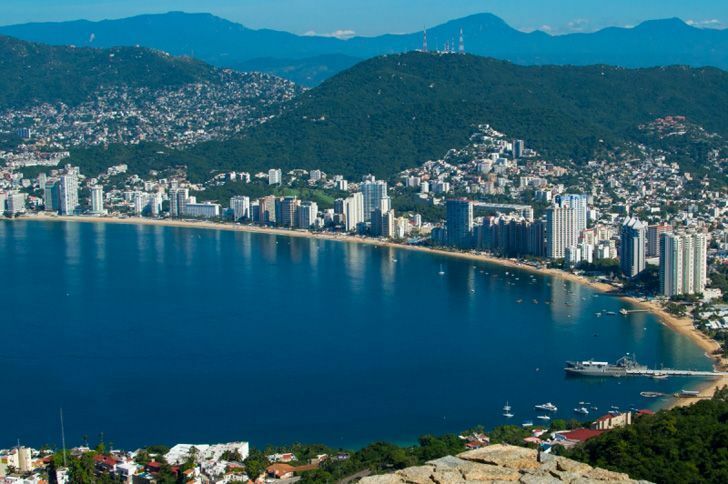 Among the largest infrastructure projects in Acapulco is the expansion and redevelopment of the Pie de la Cuesta, with a new scenic 7.8 mile-boulevard (12.5-kilometer) connecting to the Barra de Coyuca. The project includes a new bicycle path, an environmentally friendly LED public lighting system, and the planting of over 3,000 palm trees, creating the sense of a linear park along its 4 carriageway expanse. The renovation work involves new wooded areas and gardens, paving of walkways, new street furniture and other amenities in the public spaces, as well as new sanitary and water works systems and street lighting. The area will also gain a symbol making it instantly recognizable to tourists through the addition of a new façade as the representative image of this dynamic zone. Of particular interest to attendees of Tianguis Turistico is the new bicycle path connecting the convention site Mundo Imperial to Plan de los Amates. The redeveloped 6-kilometer bicycle route will boost sports tourism and add a fun, healthy amenity for casual travelers of all types visiting Acapulco. An additional bicycle path was opened as part of the redevelopment of Puerto Marques. The 20-kilometer pathway will expand ecotourism options, crossing Laguna Negra to Playa Revolcadero. As part of the ongoing Princess Diamante Master Plan 2017-2021, Acapulco is building the new home for the Mexican Tennis Open. The new venue will accommodate over 10 thousand spectators and represents an investment worth over 8 million dollars. The new stadium will also be a flexible multi-function space, allowing it to host conventions, art events, and other large gatherings. Importantly, the tennis stadium will serve as the official headquarters of Abierto Mexicano de Tennis for the next 10 years, ensuring it will be a new symbol of the city in the eyes of the world. The world’s longest over the water zipline is adding additional features to daring visitors. The zipline will be heightened by almost 30 feet, resulting in a 20 percent increase in flight speed. When completed, Xtasea will offer six distinct attractions: Its traditional superman-style ziplining flights, twin flights (where two people fly together), night flights, rider flights (sitting down instead of laying down), hammock flights and a 65 feet tall bungee jump. These and many more infrastructure developments await visitors coming to Acapulco for Tianguis Turistico and other mega-events the beach resort will host. With many new projects underway, Acapulco is always improving itself, a process of continual renewal to maintain its status as one of the premier destinations in Mexico and the world.